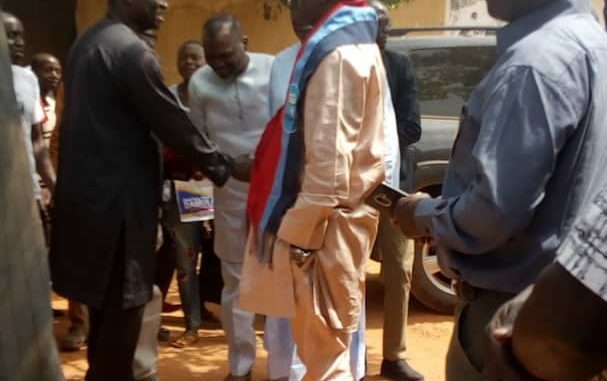 The Action Democratic Party (ADP) gubernatorial candidate, Gen. Jonathan Temlong has today moved his campaign train to Bokkos Local Government Area (LGA) of Plateau State. 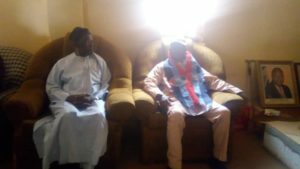 At the District Head’s Palace in Daffo, the ADP gubernatorial candidate told the Chief and others that he is going to take security as paramount, once he is voted in and assumes office on the 29th of May, 2019. 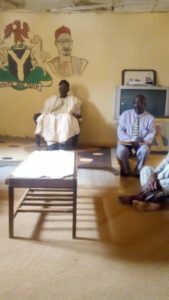 Adding that, he is troubled by the way Plateau people have become Internally displaced Persons (IDPs) in their state. 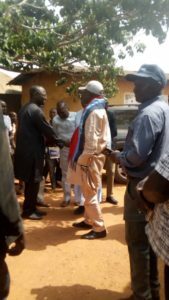 At Bokkos Town, the ADP and its candidate launched their known Door to Door campaign, as they listened to the people’s complaint and sad tales over the past three years. 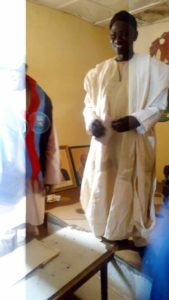 Gen. Temlong in his speech has promised the people of Daffo, good social amenities, such as, building schools, roads and drinking water and also promised to bring an environment for progress to the people through empowering the farmers and making sure they sell their products at good rate. 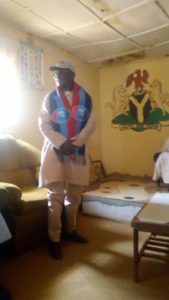 Responding at the Palace, the District Head of Daffo, Dauda Maren saf Daffo, said he appreciates the ADP and its candidate for coming to the community to meet the people directly. 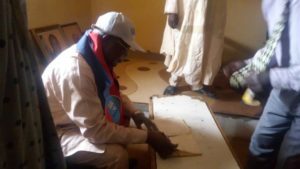 He told the gubernatorial candidate (Temlong), to accept the calling, as the will of God and to do the needful, while praying for victory for them at the polls. 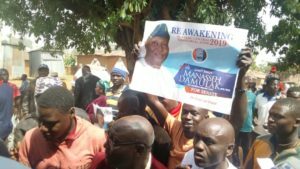 The highlights of the campaign and the visit of Gen. Temlong to Bokkos, was the warm welcome he received in Daffo by the community traditional dancers at Daffo Mangai old market square. 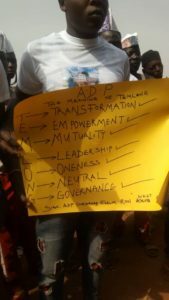 It is of note that the youths of Daffo designed T-shirts with various inscriptions and created names for the gubernatorial candidate such as: T- transformation, E- empowerment, M- mutuality, L- leadership, O- oneness, N- neutral and G- governance.